WASHINGTON, Dec 17 — Democrats say meaningful action in the wake of the school shootings in Connecticut must include a ban on military-style assault weapons and a look at how the nation deals with individuals suffering from serious mental illness. Several Democratic lawmakers and Independent Sen. Joe Lieberman said it was time to take a deeper look into the recent spate of mass shootings and what can be done to prevent them. Gun control was a hot topic in the early 1990s, when Congress enacted a 10-year ban on assault weapons. But since that ban expired in 2004, few Americans have wanted stricter laws and politicians say they don’t want to become targets of a powerful gun-rights lobby. 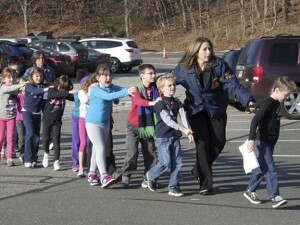 Gun-rights advocates said that might all change after the latest shooting that killed 20 children aged 6 or 7. Police say the gunman, Adam Lanza, was carrying an arsenal of ammunition and used a high-powered rifle similar to the military’s M-16. On Monday, Sen. Joe Manchin, a lifelong member of the National Rifle Association, said it was time to discuss gun policy and move toward action on gun regulation. The conservative West Virginia Democrat said Monday he agrees with New York City Mayor Michael Bloomberg, who has advocated banning the sale of assault weapons. Sen. Chuck Schumer, D-N.Y., said the nation “could be at a tipping point … a tipping point where we might actually get something done” on gun control. He and other Democrats, as well as Lieberman, said they want to ban the sale of new assault weapons and make it harder for mentally ill individuals to obtain weapons. Lieberman said a new commission should be created to look at gun laws and the mental health system, as well as violence in movies and video games. 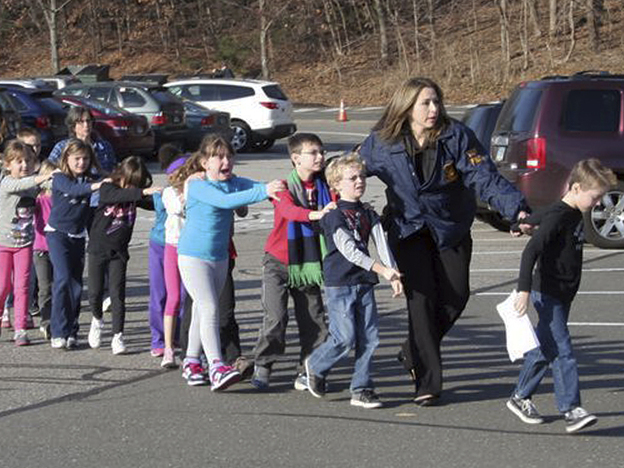 “Assault weapons were developed for the U.S. military, not commercial gun manufacturers,” Lieberman said before the Newtown vigil Sunday night. “This is a moment to start a very serious national conversation about violence in our society, particularly about these acts of mass violence,” said the Connecticut senator, who is retiring at the end of the year. Sen. Dianne Feinstein, D-Calif., said she will introduce legislation next year to ban new assault weapons, as well as big clips, drums and strips of more than 10 bullets. “It can be done,” Feinstein told NBC’s “Meet the Press” of reinstating the ban despite deep opposition by the powerful National Rifle Association and similar groups. Bloomberg said Obama could use executive powers to enforce existing gun laws, as well as throw his weight behind legislation like Feinstein’s. Gun-rights activists had remained largely quiet on the issue since Friday’s shooting, all but one declining to appear on the Sunday talk shows. David Gregory, the host of “Meet the Press,” said NBC invited all 31 “pro-gun” senators to appear on Sunday’s show, and all 31 declined. All eight Republicans on the Senate Judiciary Committee were unavailable or unwilling to appear on CBS’ “Face the Nation,” host Bob Schieffer said. “The facts are that every time guns have been allowed – conceal-carry (gun laws) have been allowed – the crime rate has gone down,” Gohmert said. Gun-control advocates say that isn’t true. A study by the California-based Law Center to Prevent Gun Violence determined that 7 of the 10 states with the strongest gun laws – including Connecticut, Massachusetts and California – are also among the 10 states with the lowest gun death rates.